There are certain rules to follow for good composition. Some call them rules, but rules do not always leave room for creativity, so I am calling them guidelines. Using these guidelines will help balance your photos and make them more pleasing to the viewer. Good composition allows the viewer’s eye to flow through the photograph naturally and is just as important as good lighting. There are many different guidelines to follow that will drastically improve your photos, but let’s start with the Rule of Thirds. Hey sorry, I didn’t name it. The Rule of Thirds suggests that instead of placing your point of interest in the center of the frame, you divide your photo into thirds, both vertically and horizontally and use the intersecting lines as a reference point to place your subject or points of interest. Studies show that a person’s eye will first land on one of these intersecting points and not the center of the photo. Maybe that’s because our eyes are not on our nose, either way, composition can make or break your photo. 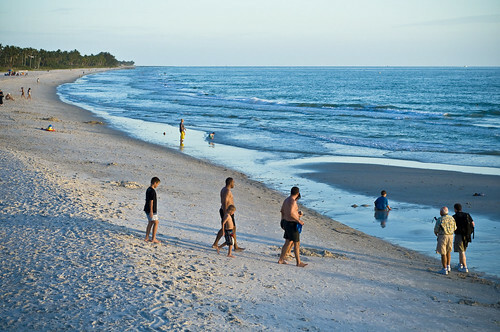 Here is an example using the rule of thirds…..well almost thirds, but you get the idea. Another way to improve your composition is to rid yourself of those cluttered backgrounds. Taking a photo with a lot of things going on in the background is distracting to the viewer. Keep in mind, less is more. To declutter, try moving around for a better angle or move in closer. If you are bored with the same old composition, choose a different viewpoint. Mix it up; get down at your subjects level, or lay on the ground and shoot up for a more interesting shot. When you think your close enough, get closer. Fill the frame with your subject. There is nothing more boring than looking at little Billy, who is the size of an ant on the photo and is surrounded by two plus miles of landscape. Personally, I would rather see the expression on his face, the dirt on his hands and his messy hair. The details are what tell the story and you can’t see those from far away. So get close and remember, less is more. See the impact the first photo below has over the second. Lines add interest to a photo and can draw the eye in a specific direction or directly to your subject matter. Lines can also add depth and motion to your composition. Photograph a pathway, a bridge, a line of trees, or a winding road. Diagonal, vertical, horizontal, curved….lines are awesome! Look for the details. At times the details have much more impact than the full subject. Sometimes a throw away image can be turned into a keeper by finding the details. A simple crop did this for the images below. The last tip I will share with you is one of many I learned from Scott Kelby and possibly one of the most helpful. If you don’t know what your subject is, don’t shoot the photo. Your photo needs to have a focal point where the eye will come to rest; an area of interest that draws the viewer to that particular spot on the photo. So decide what you are shooting at before you take the shot. Now that you have reviewed some of the basic rules of composition, let’s learn how to break them! 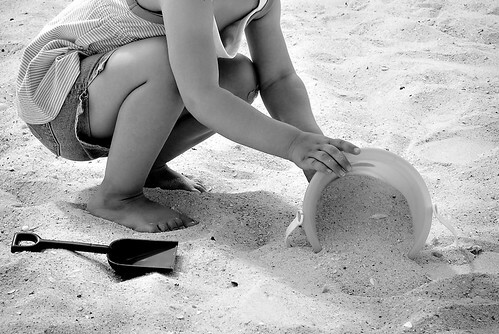 Here is a great article at Digital Photography School about breaking the rules of composition. Use the basic guidelines you have learned in this lesson and apply them to your photographs. We have gone over eight guidelines to follow for good composition, so take at least eight photos using the techniques you have learned and post them to your blog. Return here when you are finished and link to your post by signing Mr. Linky below. The next assignment will be posted in three weeks. Steve Paxton has some of the most dramatic photographs I have seen to date. His series of urban portraits, The Least of These is simply amazing. Steve photograph’s capture the lives of the homeless and overlooked with compassion and empathy, while giving dignity and care to those that have no place to call home. Steve also has some fabulous tutorials here, including information on urban portraits. If you don’t understand white balance then this is your lucky week. I promise I’ll do my best to help you understand the big mystery. Have you ever noticed after taking a photograph; you uploaded it to your computer, only to find the color didn’t look at all like the scene you know you photographed? Silly me, of course you have. Suddenly little Johnny has a blue, yellow or maybe even an orange appearance? 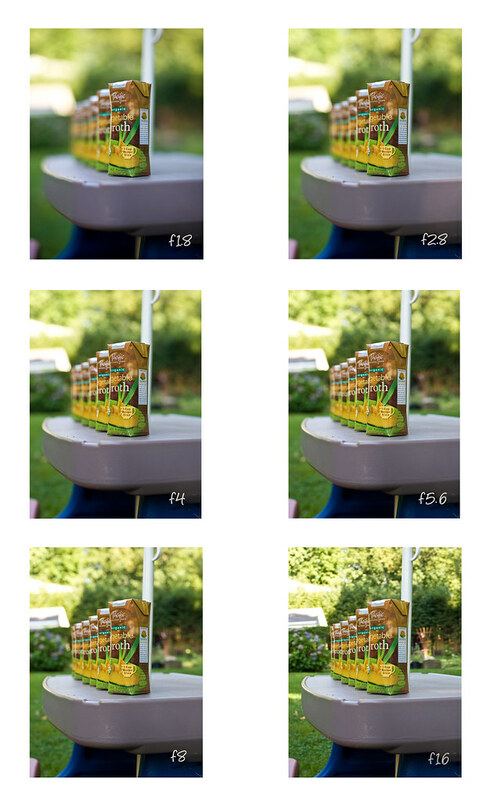 This happens when your white balance is not set to the correct color temperature. Let me explain. 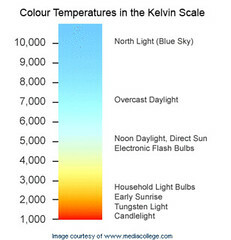 Light has a color temperature measured in a scale called Kelvins. This scale is measured from a very blue north light to a very warm candlelight. Very technical sounding, but don’t worry, I’m not trying to scare you. Just a bit of head knowledge that you can investigate on your own should you feel the need. Did you ever buy a very expensive can of paint at the store and then bring it home to put it on your walls and gasp because that was not the color you thought you bought? That’s because light changes color. The lighting at the store where you picked up those swatches is very different than what you have at home. Just ask me. I have vomit green walls at 7:00 am each morning – don’t laugh, it wasn’t at all funny the first couple of weeks. So even if you thought you outwitted the paint chip and brought it outside to get a good look or into your kitchen, chances are, you were still surprised once you saw it on the walls. Though you may have thought your surprise was because you were looking at a paint chip the size of your big toe, I assure you, that was not the only factor. The changes in light throughout the day cause the color you painted on your walls to be different hues, just like the photos you take at various times of the day. Now, ordinarily you probably wouldn’t notice much of a change in color temperature unless you were having a candlelight dinner or standing a kitchen with a fluorescent light. That’s because our eyes adjust automatically and our brains tell our eyes what is white, but the camera isn’t as smart as we are and it needs to be told what is white. In simple terms, if you want your whites to look white, you need to tell the camera what to do. Yup, you’re in charge. What a relief huh? So what is white balancing you ask? White balancing is what the camera does to get the colors just right on your image. By adding a bit of yellow to an image with a bluish cast or a bit of green to an image with a reddish cast, the camera is able to balance your color so it will look natural…like what you see when you take the photo. Auto – This setting allows the camera to make the white balance choice for you. Sometimes this works great and other times, not so good. Daylight/ Sunlight – This is used for shooting in bright sun to cool down your sunny shots that have a yellow cast. Shade – Adds a little warmth to your image with a bluish cast. Incandescent / Tungsten – This setting is to cool down the colors when you are shooting indoors under bulb lighting. Cloudy – You get this right? Adds a little warmth. Fluorescent – This will add a little warmth to your cold fluorescent lighting. Flash – This will also add a little warmth to your photos when using your flash, which can be very harsh, which is why I don’t use my flash. Ever. Okay, almost ever. Custom – We’ll get to this in a second. It is important to remember that by using the cloudy setting, your camera will assume that your image will have a slight blue cast because it is cloudy and it will add yellow to warm up your image. By using sunny or daylight, the camera will assume your image will be too yellow from the bright afternoon sun and it will add a bit of blue to make your image cooler. You can also set a custom white balance if your camera has a setting that allows you to get all crazy like that. If your camera has a custom white balance setting, you can manually set your white balance using a white object or what is called a gray card, (which is exactly what it sounds like, except more expensive.) You can purchase a gray card at most camera stores. I would tell you to make one, but let’s not go there yet. Just have your subject hold the white object or gray card in the lighting which you will be using for your photographs. Then you will probably have to fill the frame with the card or white object and then press a button to set the custom WB. I can’t give you exact directions because I have no idea which camera you use, but your manual might help. Yeah you remember…. that big fat book you read? Anyway, the camera will use the object or gray card as a point of reference to apply the correct white balance for that particular lighting. Now, you can also take a photo with your gray card in the frame to use during post processing in Photoshop, but I don’t want to freak you out with too much information, so I have linked to a page that explains it if your curiosity is killing you. Leave your white balance setting to Daylight/Direct Sun and take 4 to 6 shots of the same subject, in the exact same location, at different times of the day, with the SAME daylight setting. This is a great way to see the way light gives a color cast to your photos. For the second part of your assignment, take your best shot with a white balance that you feel is correct for the particular lighting you are shooting in. Experiment, but more importantly, have fun! Post your assignment on your blog and when you are completed, please come back here to sign Mr. Linky with your assignment post. Feel free to upload the second part of the assignment to the Flickr’ pool. I will post this assignment on both the Yahoo group and Flickr’ within a few days. Photo Inspiration: Taken by Aussiegall. You can visit Aussiegall’s photostream here. If you are participating in this workshop, you are probably using a point and shoot camera or a Digital Single-Lens Reflex camera, otherwise known as a DSLR. There are pros and cons to both types of cameras. Point and shoot cameras are great for their small size and portability, their macro capabilities and lower price and yet they lag in image quality, speed and do not have interchangeable lenses. DSLR’s are fabulous for image quality, speed and adaptability, but are not easy to carry if you want to capture photos on your next 4-mile hike up Mt. Monadnock and even though the prices are dropping drastically, you could easily go broke buying new lenses……ehem. Regardless which type of camera you own, or hope to own, if you don’t know how to capture a good image, the type of camera won’t really matter. During this workshop, it is my goal to help you learn to use your camera and show you how to take better pictures by gaining a clear understanding of how your camera works. When we have learned all we can about taking good pictures, we will begin to focus on the creative side of photography, so whatever you are hoping to learn, if you stick around long enough, you just might pick up a thing or two. You probably won’t leave this workshop as the next Jessica Claire, or maybe you will…who knows, but I hope you will find joy in the knowledge you learn and begin to apply it while capturing memories of the people or things you love. So enough of my babbling, let’s get started. I know we are all ready to dive in, but there are a few things we need to do before we can proceed to the next level. Every good skill has a foundation and I wouldn’t expect you to learn Algebra before you master your multiplication tables, so with that in mind, your first part of the assignment is to go find your camera manual and get to know your camera, inside and out. If you are like me, when you purchased your new camera, you tore open the box, found the quick start guide, tapped your foot waiting for the battery to charge, turned on that baby to auto and off you went. Now that’s all fine and good, but not if we want to learn to use the manual settings and expand our skills. Now that you are done reading, not skimming, your boring manual…. (you did read didn’t you? )….we can get to the fun stuff. You probably have discovered things you never knew about your camera, even though some of them seem to be written in a foreign language. Now make it your priority to get out and take the best picture you can for your first assignment. If you are interested in nature photography, then shoot nature, if it’s children, use your own or borrow one, (it probably should be one you know.) If it is architecture, go find a building. Just photograph whatever makes your heart sing, process it however you like and then come back here to link up when you are finished. You can link up any time between now and our next assignment and if your late, no sweat, take your time. Do this at your own pace. You can’t rush creativity. If you’re not sure how to include your photo into a comment, just upload your photo to your photo host, then right click on it > choose properties to see your photo’s URL > Copy this URL and paste it into your comment. Because this is a very short assignment, our next assignment will be posted on July 4th. Today’s Photo Inspiration: Hoya carnosa flowers taken by Martin Heigan. Go here to visit Martin’s photostream. 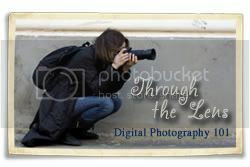 For all of you that expressed interested in the photography workshop, I am introducing Through the Lens: Digital Photography 101. A workshop for anyone that wants to improve their photography skills. I have started a Yahoo Group that I will use to send out the starting date, reminders and or any news about the assignments. Please join only if you would like to be on the mailing list. This is strictly for updates on this workshop. You do not have to join the group to participate. I have formed the Yahoo group as a convenience to prevent anyone from missing an assignment. Also, if an assignment has to be postponed, I will have the ability to give you a heads up. If you choose not to join the Yahoo group, but still want to keep track of the assignments, look for the page Through the Lens, right up there on the left sidebar under Twaddle. So what do you need to take this workshop? Well… for one, a camera. To follow along with the assignments you should have at least a 3 mega pixel camera with optional manual settings, (allows you to change the aperture and shutter speed.) If you do not have the ability to change the settings on your camera, you are absolutely still welcome to join, but will have a hard time following along with many of the assignments. You will also need a place to upload your photos, such as a blog or a Flickr account. When you are done with the assignment you will come back to this blog and link to your finished photos, wherever you have uploaded them. If you are uploading your photos to an photo account and then uploading them to your blog, I recommend Flickr’. Some places will compress your files during your upload, which causes a loss in quality. Flickr’ allows you to upload without compression on even large files. Lastly, you are required to have understanding for the person teaching this workshop because I am NOT A PROFESSIONAL! So please have patience with little ol’ me. I am learning as we go too. Have any suggestions? Well, bring ‘em on; I’m listening and I looove suggestions. When do we start you ask? The date of the first assignment will be June 20th barring any natural disasters or Hallie disasters. Don’t laugh, those of you that know me can attest to the truthfulness of this statement. Did you know Gremlinwrangler is giving away duel copies of her Friendly Cashier books!? The second is hot off the press and you have a chance to win! Just go to your blog and write a couple of lines letting people know about the books and this giveaway. And make sure to link to this post.